For any type of e-bikes on the market. Unique solutions for tourism and business. Powerbox.ONE offers 4 e-bikes charging at the same time. The performance of each built-in charger, 3A (maximum output voltage 42V), is certified for use with any e-bikes battery. Powerbox.ONE does not require an additional protection. The Powerbox.ONE is directly intended for outdoor installation and can be permanently mounted on the facade or on a 230 V rack. However, it can be successfully placed indoors (e.g. at the reception ). Powerbox.One comes with separate fuses for cable short circuits or other problems. Powerbox.one is certified by the Czech Electrical Testing Institute and each piece has a numbered safety protocol for the equipment. Powerbox.ONE includes 4 status LEDs for each charger slot, which reports the status of the charger (not connected/charging/charged). 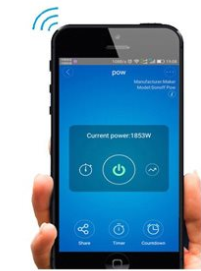 For Powerbox.ONE we install a remote control system with a mobile application (for Android or iOS systems) by default. Thanks to this, the user of the device has the possibility to remotely switch off and turn on the Powerbox.ONE charging station from anywhere in the world via mobile phone. The application allows you to set up automatic switch-on and switch-off times for the charger and to monitor the current and total power consumption for the selected period at all times. A functional Wi-Fi connection at the Powerbox installation location is required for remote control . With Powerbox you order charging cables for the most common e-bike battery brands/types on the market (LeaderFox, Apache, Crussis, Agogs, Lovelec, Giant, etc.). 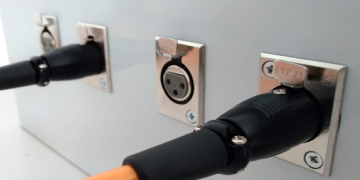 If there is a higher demand for any type of charging, you can easily buy only a specific cable with a connector that you need. Implementation of the installation - according to personal agreement. Possibility of sticking: resistant PVC foil 25 * 35 cm (not included, realization approx. 23 EUR without VAT). The only comparable product in the EU market known to us is E-charging station POINT from the Austrian company BikeEnergy, but at a price higher than 7000,- EUR (7x more expensive and supplied without battery cables). This solution also does not provide charging cables / adapters for most types / brands of e-bikes.